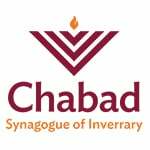 At Chabad Inverrary we are committed to providing a meaningful Shabbat experience for all our congregants, including children. Our Shabbos Kid’s Club is designed to make shul-going enjoyable for parents and kids alike. Our team is comprised of experienced and dedicated educators who enjoy spending time with children and it shows! Our Shabbas Kid’s Club groups are divided into 3 different age ranges, and each group’s programming is carefully planned to engage children at their level of interest. We are sure that your children will love joining in with our many fun activities. Please support and encourage them to join their groups, or to accompany you into shul, so they are not drifting around the building unattended. Here is our current kids’ programming schedule. Please note that your children are welcome and encouraged to join you in Shul and davening at any time. Guests are of course welcome at any time! Boys Club - Thank you Rabbi Shmuly Klein for leading this fantastic program! Girls Club - Thank you Rivki Baron, Yehudis Myer Smith, Bryna Rosenblum and Miriam Lebovics for running the program weekly. This group begins with a spirited singing of davening, and discussion of the Parshas HaShavua. Fun and games ensue. Children earn tickets for being there at 10:30, for staying through completion, and for participation and behavior. A weekly raffle is held and the children look forward to this special hour. Check up on your child at regular intervals during davening and kiddush time, so that they know and understand that you care about their location, well-being, and general decorum. Please help support this program. It costs $10 per family per month for each program. If you would like to make a donation earmarked especially towards the Children’s programming, you can go to and check off “Shabbat Children's Room Program”.